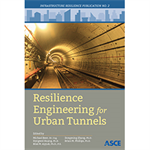 Developing resources for improving the resilience of civil infrastructure and lifeline systems to all hazards. Edited by Michael Beer, Dr.-Ing. ; Hongwei Huang, Ph.D.; Bilal M. Ayyub, Ph.D., P.E. ; Dongming Zhang, Ph.D.; and Brian M. Phillips, Ph.D.
Meeting participants were treated to a special Le Val Lund Award Lecture from the 2016 Le Val Lund Award Winner Craig A. Davis. 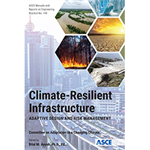 Learn How to Quantify and Manage Resilience.